Advertising Lab: British Cops Lifeblogging? 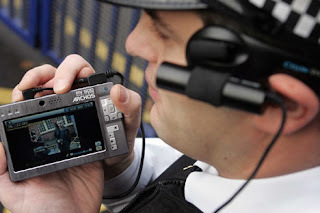 This Is London: "Police officers in the UK are to be given head-mouted video cameras to film incidents and arrests, the footage of which can then be used in evidence. The 'head-cams' can store up to 400 hours of footage with soundtrack on their hard drive." Looks like something marketing ethnographers and planners could use, no?